WinterFest starts on Thursday, January 24, and the Blowing Rock Art & History Museum hosts a Doodlebug Club that morning. This craft class and storytime is especially for preschool-age kids. All supplies are included for just $5- call the Museum at 828-295-9099 to reserve a spot! Kick off Friday with a Pancake Breakfast at Foggy Rock. During the day, enjoy a local attraction or two, or spend some time in the shops downtown. Some of the shops also act as studios for local makers, and you can watch them work. At 4pm, the Hands On Ice Carving begins in Memorial Park. All are invited to learn how to chisel and shape an ice sculpture! The Winter Warmer Project will also begin serving Hot Chocolate at their blanket & coat drive on Park Avenue. Bring a donation for a teaching moment with the kids. At dusk, the ice sculptures along Main Street and around town will be lit for the Ice Stroll! Enjoy unique, quirky sculptures at each participating business. After dinner, Chetola Resort hosts a bonfire that’s perfect for roasting marshmallows- s’mores supplies are just $5. The big day is Saturday and the day is packed with activities. Start with more pancakes, or try out the WinterFest special at Southern Comforts. Then, enjoy the Polar Plunge! 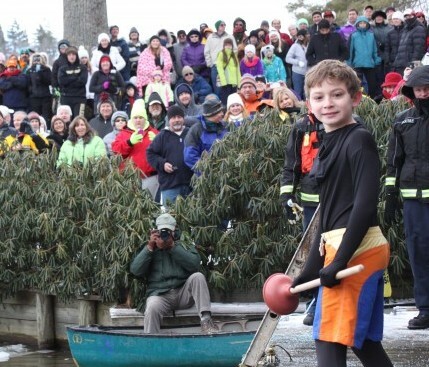 Come out and watch the plungers jump in the icy lake, all decked out in hilarious costumes. Or, sign up and take the plunge yourself with the whole family! Free Hayrides around town and the Silent Auction also begin at 10am and continue all afternoon. The Auction has all kinds of items, including sporting equipment and family entertainment, and it benefits a local youth organization. At 11am, Charlotte Meteorologist Brad Panovich will present a Snow Making Demo in Memorial Park! He’ll explain the science of snow- perfect for budding scientists or any curious minds. The chili cookoff is a great place to catch a bite to eat. Just watch out for the spicy entries! Or, catch the K-9 Keg Pull, great fun for families- you can even register with your pup! Ice Carving demonstrations in the park are one of the most anticipated activities at Winterfest, so you and the kids won’t want to miss them. An ice carving team will create frozen works of art right in Memorial Park from noon to 4pm. Blowing Rock Art & History Museum invites the whole family to join them for an Arctic Art session where kids can create something to take home. There’s a second session of the Hands-On Ice Carving, too! When it’s time for dinner, take in a meal at one of several family-friendly restaurants in town. Chetola will host another bonfire with s’mores on Saturday night. Best Dressed pup and family! 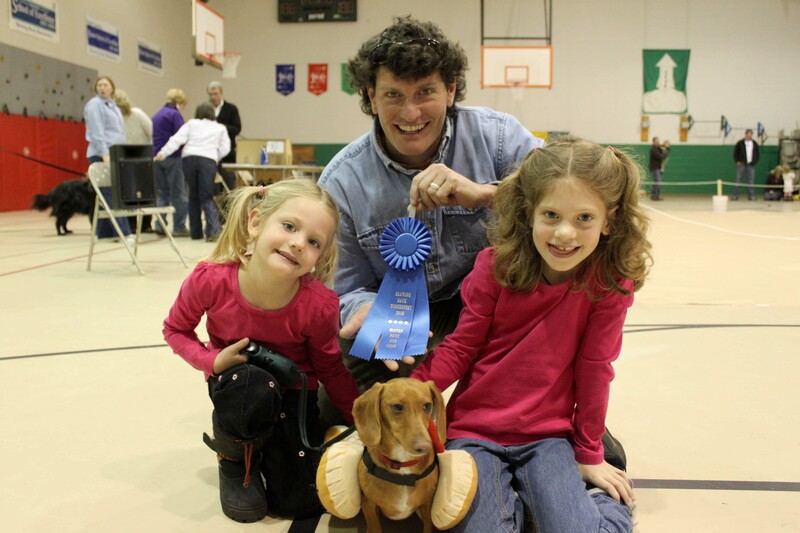 Sunday brings the WinterPaws Dog Show at Blowing Rock School. Even if you didn’t bring a canine family member, the show is great entertainment for the whole family!